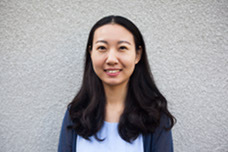 Yangyang is a doctoral student specializing in Human Development in Context (HDiC). Yangyang examines the quality of experiences in organized after-school activities for children and youth from diverse socioeconomic and cultural backgrounds. She examines how after-school activities promote positive youth development within the broader bioecological system. Her research interests are program quality, positive youth development, diversity and equity, and motivation. ​Yangyang is currently working on a project funded by Mott Foundation to examine after-school quality and Templeton Character Development project with Drs. Sandra Simpkins and Deborah Vandell.